The challenge for many senior executives is to get everyone, from top to bottom, on board to make their organizations work—to implement whatever decisions have been made. How to go about it, however, is another matter. The following case study illustrates how group coaching can be a methodology second to none, to have executives sing on the same page—and accelerate execution. It is an intervention methodology increasingly utilised by premier strategic consulting firms. "Group coaching for team alignment"
This article discusses how to get things done by applying the group coaching methodology. "Conundrums coaches face in their practice"
This article sheds light on the challenges facing coaches when undertaking the journey to becoming a group coach. "Effectiveness of psycho- dynamic group coaching"
This article reports on the effectiveness of psychodynamic group coaching intervention technique practiced at a global business school. "Effectiveness of group leadership coaching"
This article advocates the effectiveness of group leadership coaching. A change methodology centered on group coaching for high-performance teams is proposed. "Profile of a group leadership coaching approach"
This paper describes the unique leadership coaching approach which focuses not only on what is directly observable, but also on out-of-awareness behaviour. "What are the different facets of coaching?" A book chapter in Coach and couch: The psychology of making better leaders, exploring the different facets of coaching. This blog entry with the Harvard Business Review. discusses the thin line between corporate genius and psychopaths. 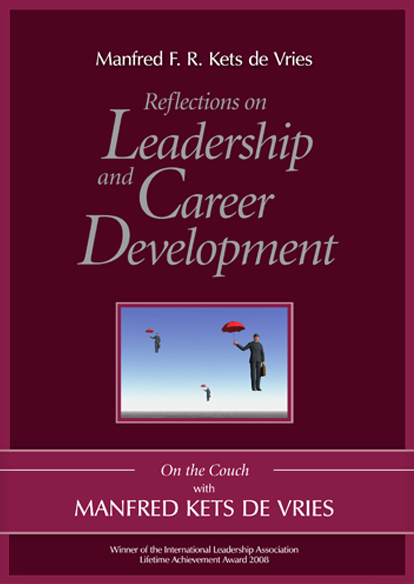 Reflections on Leadership and Career Development is the second of the three books in the Manfred Kets de Vries on the Couch series. This book takes an in-depth look at the way basic psychological processes operate on individual and corporate performance. This book is all about helping coaches to become more effective. Each chapter presents a profile of a particular type of toxic executive—the narcissist, psychopath, cold fish, obsessive-compulsive, and many more—and offers coaches examples of interventions that have worked—and those that haven't. 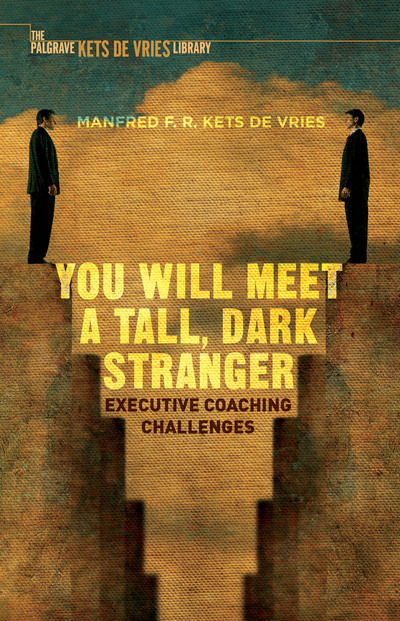 Kets de Vries offers expert advice from the front line of working with puzzling executives.